No longer do you have to rely upon a permanently-fixed solution to prevent vehicle accidents. Knowing the right way to carry out experiments is imperative. Find out why weighing plays such an important role in this process and learn how instrument maintenance, ambient temperature, air drafts, magnetism, static and more, influence the accuracy of your results with a new guide from Mettler Toledo. 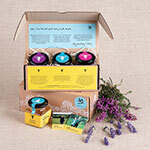 Hive & Keeper, the British honey brand that is so much more than that! Emily Abbott, Hive & Keeper’s founder, is a beekeeper at heart so only buys honey from beekeepers she’s visited, and knows are good custodians of Britain’s bees, putting their welfare ahead of honey production and corner cutting. For this issue of Business and Industry Today, we are incredibly pleased to announce that TERRAM have been selected as our Specialist Materials Company of the Month profile as a result of their exceptional range of industrial nonwoven solutions. 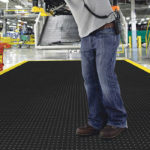 Manufacturers and recyclers sit up! 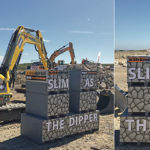 Hillhead always puts on a fantastic show and this year was no exception – 2018 will be remembered as being a bit special, namely due to a spell of hot weather that made the venue feel more like the Sahara than an East Midlands quarry. The QSS Group is a provider of cost-effective, customer-focused Training, Consultancy, Risk Profiling and Auditing in Safety, Quality, Environmental and Engineering services. The National Manufacturing & Supply Chain Expo returned to Coventry’s Ricoh Arena on the 26th June, bringing manufacturing specialists, agencies and academics together for one day of exhibition, presentation and debate.